Primary education professional Naomi Tetherly holds a Massachusetts Initial license for Elementary Vice-Principal/Principal and a master's degree in school administration from American International College. Formerly an English and Social Studies teacher, Naomi Tetherly is currently in the process of writing a children’s book. The best children’s books engage their audience with relatable characters, interesting scenarios, and rhythmical language. There are a few areas that authors must consider when writing a children’s book for the first time. Connecting to a young audience requires an understanding of their natural interests. There are significant psychosocial changes that occur as children develop, so authors must identify the specific age group that will be their target audience. Once this has been determined, writers can draw ideas from their own childhood or other children in their lives. Though most children’s books have themes centered around typical childhood scenarios, there are infinite unique ways to present the storyline. 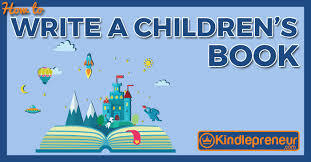 Authors can keep children and older readers interested by writing in a way that stimulates the imagination. They should also consider how their book’s images will bring the characters and their fictional world to life.